In a report released today, Ryan Todd from Piper Jaffray reiterated a Buy rating on EOG Resources (EOG), with a price target of $106. The company’s shares opened today at $96.78. According to TipRanks.com, Todd is a 1-star analyst with an average return of -1.6% and a 44.3% success rate. Todd covers the Basic Materials sector, focusing on stocks such as Wildhorse Resource Development Corp, Whiting Petroleum Corp, and Continental Resources. The word on The Street in general, suggests a Strong Buy analyst consensus rating for EOG Resources with a $126.67 average price target, which is a 30.9% upside from current levels. In a report issued on January 7, RBC Capital also upgraded the stock to Buy with a $125 price target. EOG Resources’ market cap is currently $55.39B and has a P/E ratio of 11.17. The company has a Price to Book ratio of 2.99. Based on the recent corporate insider activity of 153 insiders, corporate insider sentiment is negative on the stock. 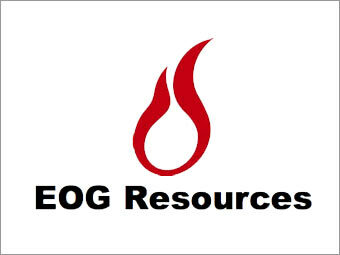 EOG Resources, Inc. is an exploration company. The company engages in the exploration, development, production and marketing of crude oil and natural gas in United States, Canada, Trinidad & Tobago, the United Kingdom, Argentina and China. Its projects include Williston, Greater Green, Power River, Ulinta, DJ, Anadarko, Horn River, Sichuan and Columbus.